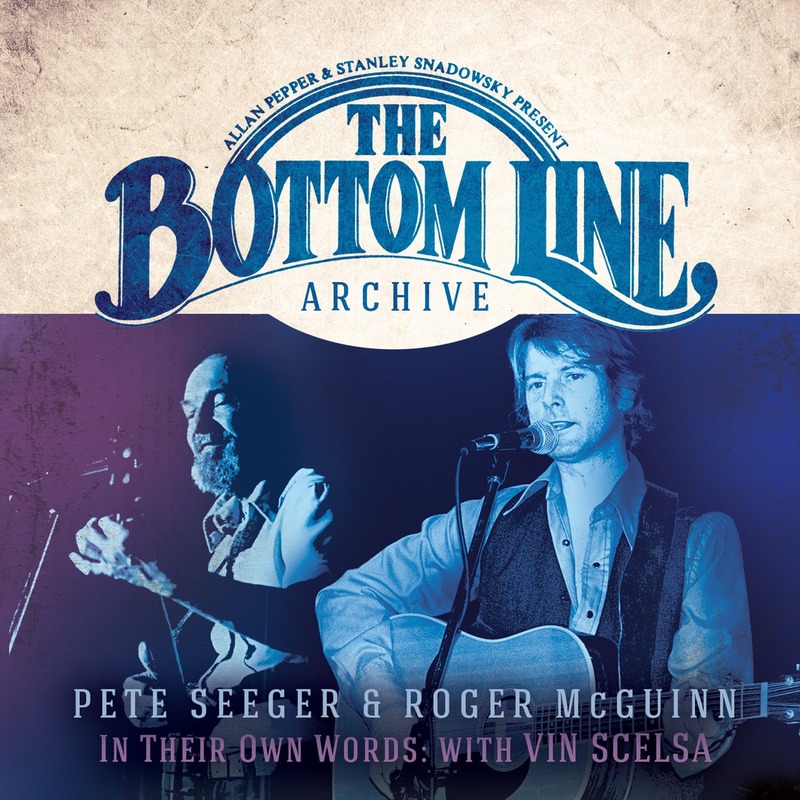 The Bottom Line Archive Series has announced its next titles – three never-before-released live performances – set for October 30. Recorded at the legendary Bottom Line club in Greenwich Village, the new set presents an historical and rich sampler of artists and genres. The Bottom Line Archive label is distributed via BFD/Red; BFD is a division of Bob Frank Entertainment. •Doc Watson: Live at the Bottom Line – These 2002 live recordings capture the guitar virtuoso on the heels of his sixth Grammy win (out of eight), showcasing his trademark wit, charm and prodigious musical gifts. Regarded as the father of modern day Bluegrass flat-picking, Doc Watson creates the easy intimacy of a back-porch performance as he walks his adoring audience through a musical history lesson encompassing “Shady Grove,” “T for Texas,” “Black Mountain Rag” and “Nights in White Satin.” Recorded during Doc’s two final Bottom Line engagements, captured just before, and shortly after, his 79th birthday. He had played the club over 30 times before. •Tony Orlando: Live at the Bottom Line – The first and only live album in Tony Orlando’s career, this post-New Year’s Eve show from January 2001 presents the artist as entertainer and singer in a range of musical variety from pop, to ballad, to Latin, to rock and roll, to heartfelt stories from his nearly 50-years in music. Career highlights include being the first multi-racial group to have a TV show (Tony Orlando & Dawn) and starring roles in award-winning Broadway shows, Barnum and Smokey Joe’s Café, all while selling millions of records. This electric performance at The Bottom Line includes early hits “Yellow Ribbon,” “Knock Three Times,” and “Candida” as well as three new original songs including “Caribbean Jewel,” a tribute to his Puerto Rican heritage. These releases are the third of an extensive quarterly rollout of 24 new titles over the next two years, including classic live performances by Jack Bruce, Ralph Stanley and Rory Gallagher, among others. The next releases are scheduled for March 2016. Bottom Line co-founder/curator Allan Pepper has recordings of more than 1,000 shows from Greenwich Village nightclub, which always booked an eclectic mix of rock, jazz, blues, folk and other forms of music. Pepper says the label is currently in conversation with representatives from many of the acts. Series producer Gregg Bendian, who performed frequently at The Bottom Line with his band, The Mahavishnu Project, also organized the extensive liner notes for the series, which include backstories, testimonials and memories. All music from The Bottom Line Archive has been mixed and mastered at The Magic Shop, an award-winning state-of-the-art studio in New York.